King of Kingsport, Beau James: 25 years where have they gone? 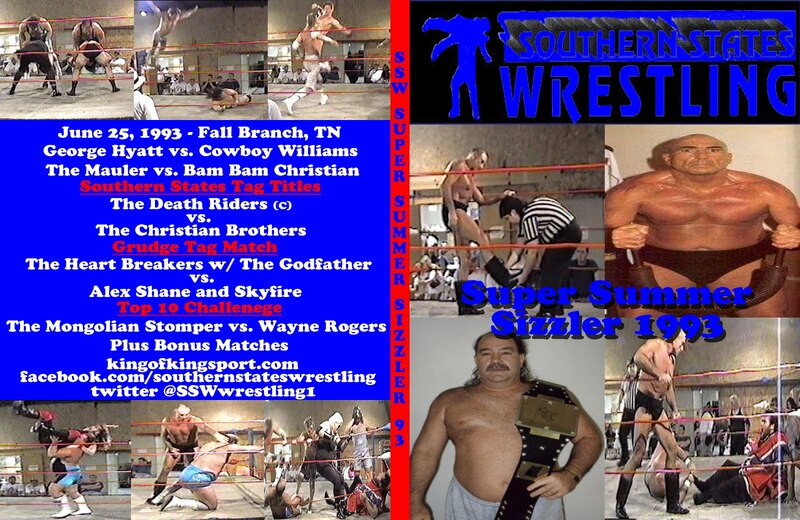 Today marks the 25th Anniversary of the First Southern States Wrestling Card. I was 16 when I started my little promotion. Over the years it grew to promote events in many states, a TV program seen in different areas, magazine covers, and a home to Hall of Famers and young guys just getting started on their way to a national stage. Below is my memories of the events leading up to the event and what went on the first day as me as a boss. This is just a few pages from my first book "Do YA Wanna Be A Wrestler, Kid?" always on sale on the right hand side of this page. In November of 1990, I was booked back in McPheeter‟s Bend for Big Al. After the event ended, I was out helping with tear down and Al came up and gave me my payoff. He asked me if I thought I could take over running his towns. I stopped in my tracks and asked what he was talking about. He told me that I had the love, the drive, and the thing no one else had, time on my side. He said, “You know how to promote a town, how to set up rings, and you‟re learning the ropes in the ring. Plus, you have a connection with every Wal-Mart in America.” I told him I would think about it, but there was no way; I was just too young. The Holiday season came along and it seemed as if wrestling just stopped around the Tri-Cities. 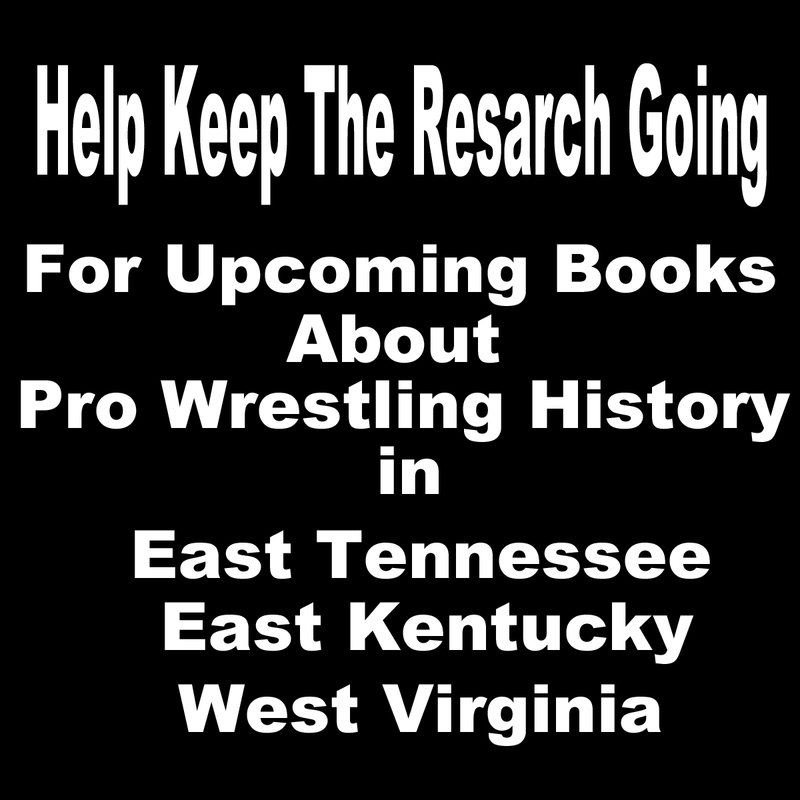 For decades, Thanksgiving and Christmas nights had been two of the biggest nights of the year for wrestling, yet there was only one event booked in the great Tri-Cities area during that time. Joey Carrier ran his first event in Carter County at a small elementary school. I remember that night because of two things: it was Scott Sterling‟s first match, and both dressing rooms were full of people. They put anyone who showed up in a match somehow. Joey is a good guy but was too nice for the wrestling business. January of 1991 came, and not one event was booked in the Tri-Cities area. I was talking to Stan Lee on the phone and he said we should run something ourselves. I suggested we could do like the other guys had been doing: pay the rent on the old Gap Creek Community Center and run there on Saturday night. We both agreed we would do that, but we wanted our event to be different than what they had been doing up there. We wanted to make a card, advertise it and stick to the matches on the advertisements. We also didn‟t want to use just anyone who showed up, or be pressured into using someone we felt should not be in the ring. I called Jimmy McKeeian and asked if he knew who was in charge of the building, and what we needed to do to rent it. He told me that he did and that he would take us to meet the man. We met with the man the next day and he told us the rent was $50, and he got the concessions. We agreed and the date was set for Saturday, February 16, 1991. The next day I started calling around to find out where the ring was that the PWA guys used. I found out that George Hyatt had it. He told me that it was in his backyard in a storage building. He had been waiting for someone to come pick it up for a couple of months, and he asked me to please come get it. Next, Stan and I worked out a card and started calling and booking the wrestlers. I called Krunch to tell him about the event, and he told me he was trying to find the ring because he and Al had a card at the end of February in McPheeter‟s Bend. I told him that I knew where the ring was and could get it anytime; I was just trying to find a truck. Krunch said he would go with me to get it, that he would take it to Gap Creek for me and then just take it on to his house to have it for their event. In the next few days, we called and lined up the card we wanted. I was thinking, “Man, this is not hard at all.” Everyone I talked to was so nice and willing to help. All I heard was, “If you need anything, just let us know”or “I‟ll be there to do whatever is needed.” My first big learning experience dealing with pro wrestlers came February 16, 1991. It was a fast and easy lesson in many problems that I still have to deal with to this day. On day of the event, Krunch picked me up in his big truck and off we went to get the ring. We got to George Hyatt‟s house and found the ring right where he said it was. He had it laid out easy to load. On the way to the building, Krunch said, “We will be dead tonight after loading and unloading this hunk-of-junk ring twice plus setting it up, tearing it down, and the matches.” I told him, “No, don‟t worry. Some of the boys are coming to help us.” He just laughed out loud. I did not understand why. We got to the building and no one was there. Even the man with the keys to the building was late. We had to wait on him for an hour. He finally showed up and we got to work. No one else showed up to help; it was just me and Krunch. We set the ring up, and as soon as we started tying the ring aprons on, then the wrestlers started showing up. It was like they had been hiding somewhere watching us until that point. First I saw wrestlers I had called, then wrestlers I had not called, then wrestlers I had never met. I went down to the dressing room and it was full. I looked around and hung up a poster and said, “Hey, guys, here is the card. If you‟re not on it, stick around in case there is a no-show or something.” Some guys laughed and others said, “Who is he to tell us anything?” As I started to get dressed, people that I had booked walked over and started telling me who they were going to wrestle and what they were going to do. One after another I told them no, that we were going to do what was on the poster. As the night went on, the boys who had only worked for the PWA started getting mad. The guys that I would not let wrestle got even worse. Most of them left, but a few stayed around to run their mouths. By bell time, you could see the line drawn in the dressing room. The only boys from the old guard that were willing to do business and had no problems were Krunch, Al Bass and George Hyatt. All the other guys either argued with what was asked of them or tried to change things in the ring. I also had a few wrestlers just outright no-show the event, one of whom was supposed to bring the P.A. system. When I saw them a few weeks later, they all had valid excuses, but I found out over time that it was all an attempt to sabotage the event. I had only agreed to run that event because I wanted a booking and wanted to help some of the younger guys like myself. 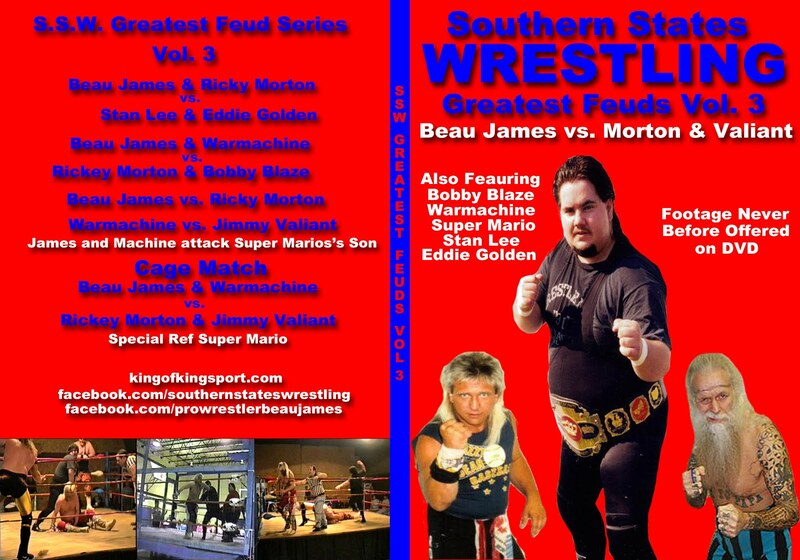 I had no idea what started that night would grow into a full-time promotion: Southern States Wrestling. I could never imagine the life lessons, problems, and battles that I would face in the next few years. 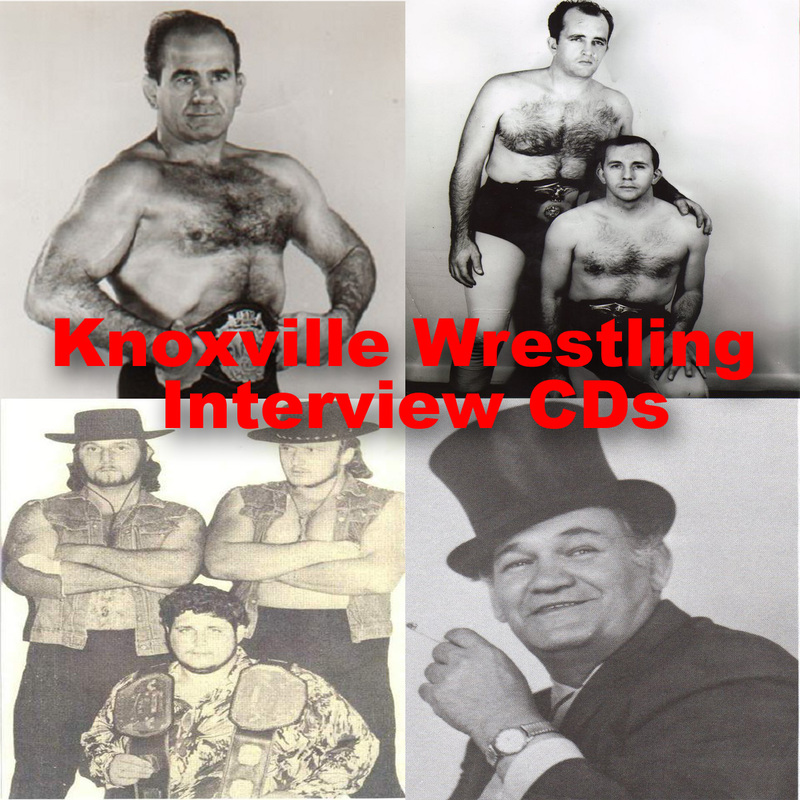 I continued to get booked around Knoxville most weekends, and would do Tri-Cities events when I had nothing else. I was also promoting one SSW event a month. I had started a youth movement of sorts in my home area. I was booking very few wrestlers from the old PWA, and much more of the younger guys. For the most part the young guys I had were getting on-the-job training like so many wrestlers before us had, by working with the veterans I did book. With each event, I thought SSW was getting better and better. I watch the tapes now and want to cry because they were bad. In the Spring of 1991, I ran a few events around Kingsport and somehow ended up getting a wrestling event booked during Kingsport‟s biggest event of the year: Fun Fest. Here is the results to that first night of operation. 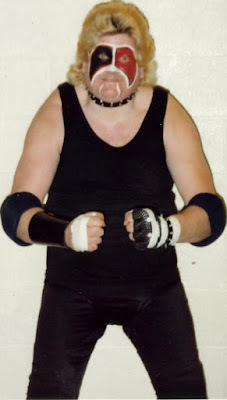 Notes Equalizer was the SCW Champion (Al Bass' Promotion) so when SSW started we named him Champion. The Christian Brothers were named Tag Champions on this day. The event was taped but will never bee seen out side of my house thanks to two friends from high school who ran the camera and talked out loud the entire event making fun of the fans, wrestlers, and everything else. When asked about it they answered "we did not know it so important to you" Which shows they never really knew me. That's ok it was just another lesson in life. Looking at these results I see only two names I still talk to regular and wrestle with Equalizer (Krunch) and Stan Lee, George Hyatt lives in NY now I do keep up with him on facebook. I see Bam Bam Christian regularly and i see Skyfire a few times a year. The rest were just passing through I guess. Reading from my book this morning, looking at the video of the first event, and sitting here now. I have had so many memories good and bad run through my mind. I would have never guessed what SSW would become in the glory or how bad it would be in down times. Over the years SSW would be the only reason I got out of bed at times. I could not wait to get to the buildings. It also at times was something I cussed and wanted away from. But I knew it was the life I chose to live. I still do. Misty and I have been home for almost three months as I write this due to a health scare. I have sat here and edited many SSW events on DVD which we will be offering very soon for the first time. I have watched the proudest moments two sell outs of The Civil Auditorium in Kingsport, sold out Kingsport Armory, large crowds in West Virginia and North Carolina. In every life rain must fall. I have also watched events that I wish never happened and myself in my darkest days before Jesus. The sport/business of pro wrestling has changed so much in 25 years. Some for the good some for the bad. Just like every other promotion out there we have had good and bad. 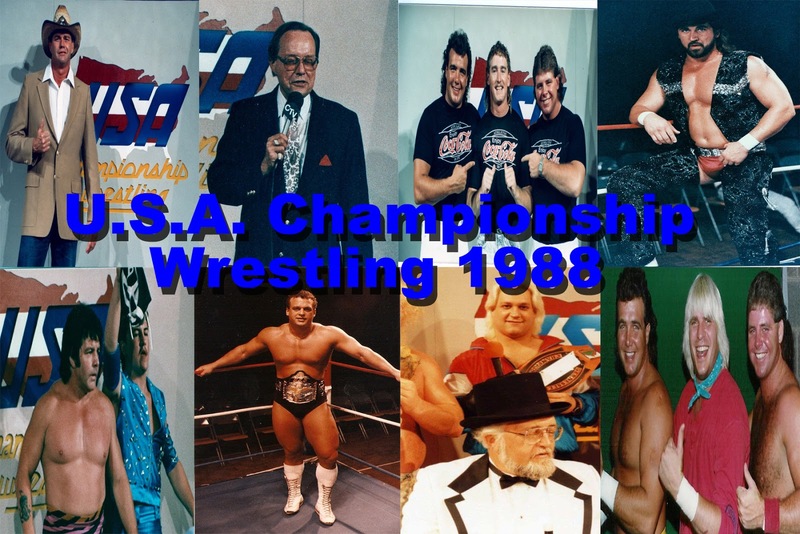 SSW changed a lot of the way business was done here in our home region. We were able to get local media following our events. We were able to use some of the biggest names available at the time. We mad are own home grown stars. We laid a foundation for what is going on around here now and what will continue to go one for many years to come. It has been a wild, wonderful ride. Somethings I would change if I could. Some I would live over and over like in The Groundhog Day Movie. If it was not for SSW I would never met Misty. I would have never gotten the magazine coverage I have over the years. I would not have the memories that make me a wealthy soul. With that being said I'm here to say SSW is not done yet. Many have spread that rumor. Many may wish it would be. But I'm rested and ready to go. We will start with live events again in early spring. We will be announcing a new SSW website in the coming days. Plus announcing news on the SSW 25th Anniversary Card. 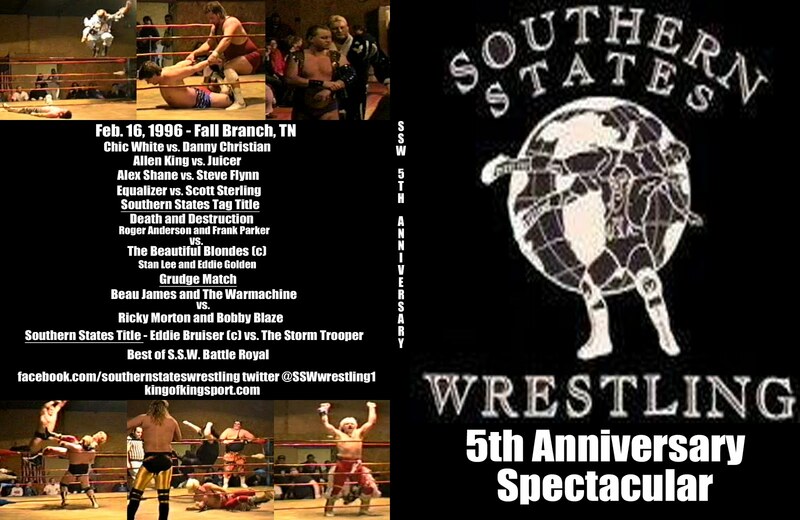 If you have wrestled for SSW over the years and would like to be on the Anniversary Event send me an email. If you are a young wrestler looking for a new place to show you skills and learn from some guys who have been around send me and email as well.